Here are some of the recipes for the cookies seen on our Holiday card this year. We had such a blast shooting the card this year but even more fun eating the cookies afterwards. (I think Jim ate most of them) Check back tomorrow for the rest of them. Carefully melt white chocolate in microwave safe bowl. Microwave on high 30 seconds at a time, stirring in between. 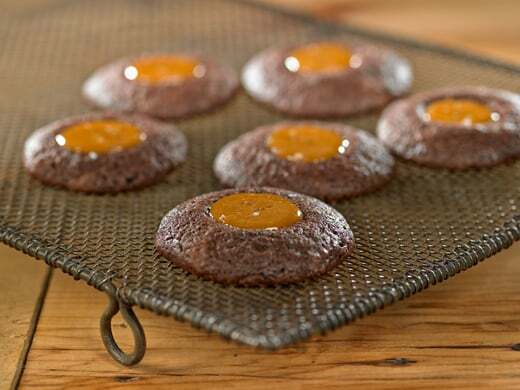 Spread melted chocolate to ¼” thickness on baking pan covered with parchment. Sprinkle evenly with pistachios and craisins. Store in the refrigerator to keep solid. Carefully melt milk chocolate in microwave safe bowl. Microwave on high 30 seconds at a time, stirring in between. Sprinkle evenly with pretzels and marshmallows. Carefully melt dark chocolate in microwave safe bowl. Microwave on high 30 seconds at a time, stirring in between. Sprinkle evenly with coconut and almonds. In a standing mixer, beat butter and cream cheese until lump free. Add flour in four parts at low speed until mixture comes together. Pinch off walnut sized pieces, roll into ball and press into mini muffin cups. You will have approximately 30 pieces. Chill in the refrigerator while you prepare the filling. Add brown sugar and mix until combined. 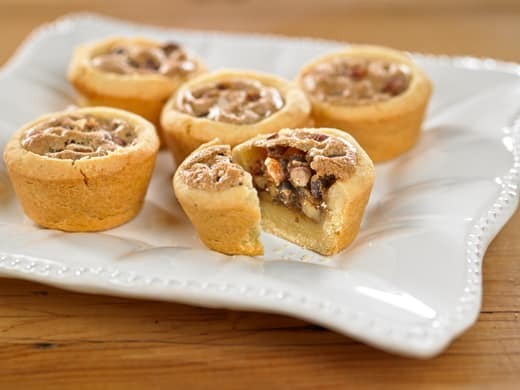 Divide mini chocolate chips and chopped pecans between the tassie shells. Pour filling into each shell filling to ¾ full. Bake about 15 minutes at 350˚. Reduce oven temperature to 250 and bake an additional 10 minutes to set the filling. Remove from oven. Allow to cool 30 minutes before removing from pans. In medium bowl, whisk together flour, salt, baking powder and baking soda. In a large bowl with an electric mixer, beat the butter, sugar and cocoa until combined. Add flour mixture and beat until combined. Dough may be sticky and wet. Using a 1 tsp. Scoop, drop rounds of dough onto prepared sheets leaving at least 1-1/2 “ between. Bake until cookies are puffed and tops are firm – 11-13 minutes. As soon as you remove the cookies from the oven, make a dent in the center of each cookie using the back of a small spoon or end of a wooden handled spoon. Allow cookies to cool slightly before removing from pan. In microwave safe bowl combine caramels and water. Microwave in 15 second intervals stirring each time until thoroughly melted. Fill cookies with caramel and sprinkle lightly with course salt.